Putting your favourite photos on the wall is a great way to celebrate the people closest to you and to remind yourself of some of your treasured memories and amazing events in your life. 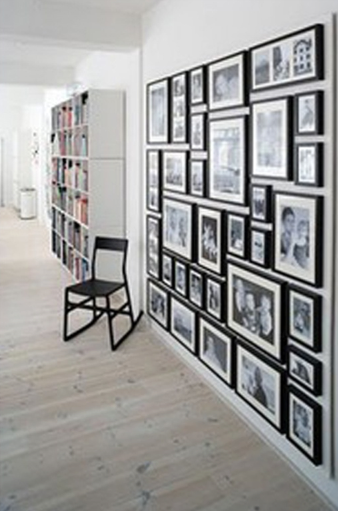 Photo walls personalise your space and can be used as chic design features as well. Send yourself postcards from your holidays and travels with little anecdotes and memories that you would otherwise forget and create a happy memory bank. You could also add photos of special occasions with notes on the back from yourself and others. I see this wall as a ‘gratitude’ wall. A space where you can look at some of the amazing places you’ve been, some of the special people in your life and celebrate your life with gratitude. I admit it’s a little ‘girly’, but it soooo pretty! 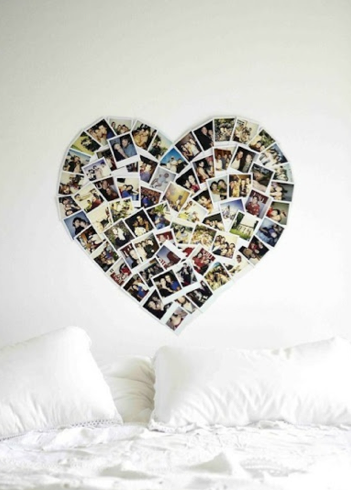 Get creative with your photo placement and you can create a heart-shaped display of photos you love, or of loved ones. 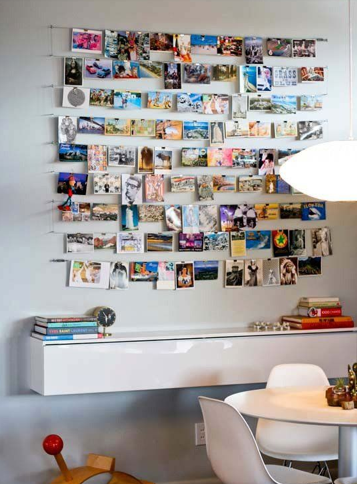 If you have hundreds of photos you want to display you can take it to the next level and cover an entire wall, floor to ceiling, with linear rows and columns of photographs. Display black and white photos of your loved ones in chic black frames with white borders to create a timeless family photo wall. Paint the background of the wall a funky colour like mustard yellow and edit your photos before printing them to ensure their colours are rich and saturated. 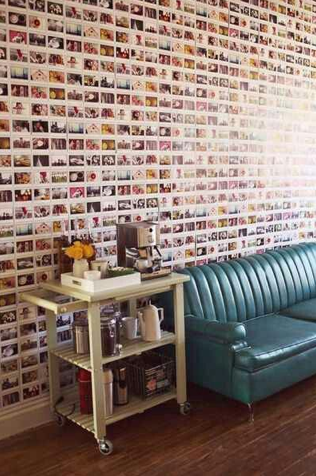 Place the vibrant photos in rows on the coloured wall for a noteworthy retro photo wall. 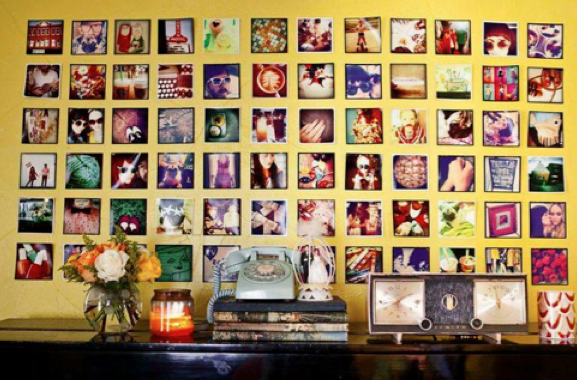 Which one of the photo walls is your favourite and why? Comment below. Hello there ,,, please i need to know where i can get the hangers for the below pic link .. I love photo walls. I started to build one in my kitchen with Instagram pictures of my travels. Hi there! Yes my thoughts exactly! This entry was posted on August 8, 2013 by Paddocks in Bedroom, Inspiration, Lifestyle, Lounge and tagged apartment decor, living in sectional title, photo wall art ideas, photo wall decor ideas, photo wall inspiration, sectional title apartment, sectional title property.